I am exhausted tonight and I will be going to bed early for me. Hopefully I will get some restful sleep. I will be posting this article to post shortly after midnight by which time I hope not only to be in bed but asleep. 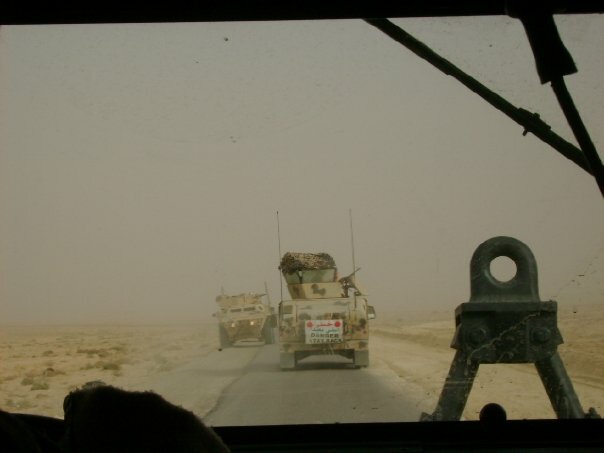 Last night was a night of violent nightmares taking me back to my worst fears when I was serving in the badlands of Iraq’s Al Anbar Province in 2007 and 2008 supporting U.S. Advisors to Iraqi Army, Border Forces, Police, Highway Patrol, and Provincial Reconstruction teams. I do not often write about it because I have been doing better, but I suffer from severe and chronic PTSD related to my experiences at war. 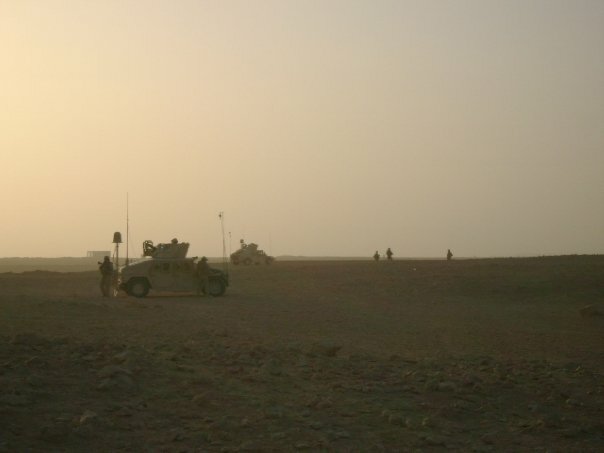 The images are seared into my brain and sometimes the memories, and my deepest fears from my time there as an unarmed Chaplain working for the most part with very small groups of Americans and our Iraqis far away from the help of the big battalions if we got into serious trouble. I have written about those experiences and my struggles after my return many times on this blog. Likewise, I have had my story told on the front pages of the Jacksonville Daily News and the Washington Times. A video of my story is on the Department of Defense Real Warriors Campaign website, and is a large part of a chapter of Pulitzer Prize winning War Correspondent David Wood’s book What Have We Done: The Moral Injury of America’s Longest Wars. 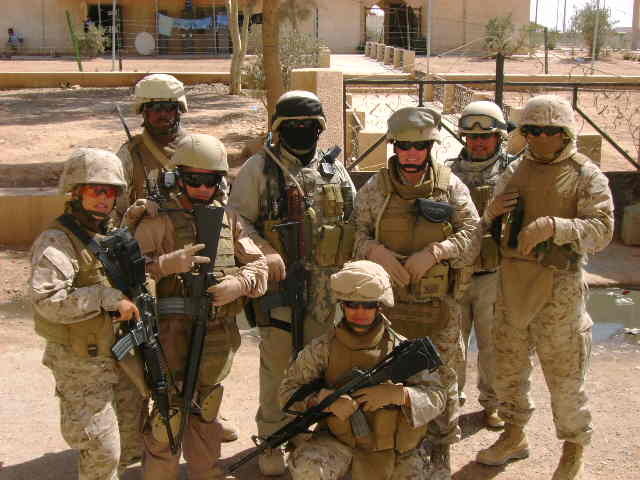 Since Iraq, my nightmares are very vivid and often involve much physical acting out. The physical acting out is unusual and I have actually injured myself badly enough to require trips to the emergency room after crashing hard throwing myself out of bed combatting imaginary enemies. Likewise, other have been violent and physical enough to wake Judy up. Last night was one of those nights but very different. In the nightmare I was being attacked by an Iraqi insurgent. Our advisor team had been attacked as we were stopped in the dark to determine if an Improvised Explosive Device had been laid in the road in front of us. 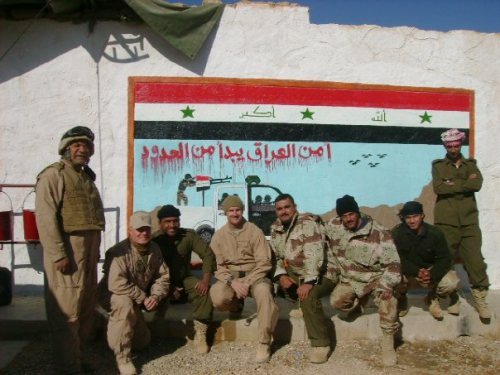 This was just a few miles from the Iraq-Syrian border between Al Qaim and COP South, the base of the advisor team which was working with the 3rd Battalion of the 3rd Brigade of the Iraqi 7th Division. The part about being stopped in the desert in the dark while examining a potential IED actually happened. The attack did not happen but at the time I fully expected something like it to happen. We were sitting ducks on a two lane highway in the middle of the desert. But the attack never happened and we continued to COP South, which would become a part of many of my future missions. But in my nightmare it happened and as the fighting devolved into close quarters hand to hand combat I found myself grappling an insurgent who was attacking me with a large knife. I managed to roll on top of him and knock the knife from his hand when I was awakened. I was on top of Judy and she was afraid that I was going to strangle her. My hands had not gotten to her throat but she woke me and told me what had happen. I dropped back to my side of the bed in a cold sweat. I could not believe what had happened and that terrifies me. I have set up an appointment prior to my regularly scheduled one with my shrink to talk about this. Since I my day had been quite good and I have been much more relaxed at work since putting in my retirement papers the event came as a huge surprise. In trying to figure out what triggered it I was at loss until I remembered that I had had dinner last night with a retired Navy EOD Captain who had been my Chief Staff Officer at EOD Group Two and running partner before I went to Iraq. He was sent there not long after me and we met at Camp Victory in Baghdad not long before I left Iraq on the way to Kuwait and home in 2008. We enjoyed a wonderful dinner last night and we did talk about all manner of things including our time in Iraq and those men that we had served alongside. Yes I can try to logically deduce my nightmares and night terrors, but the poetry of fear as Stephen King so rightly calls it cannot be fully explained. For those of us who deal with the memories of combat, of having been shot at and have seen the human cost of war, the dead, the wounded, the destruction, and the aftermath of war, they are all too real and they never completely leave us. 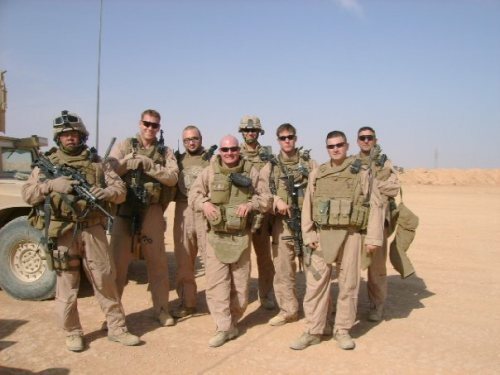 Over ten years after I returned from Iraq I still find that much of me is still there. 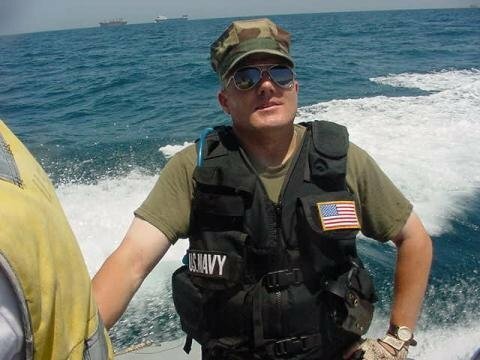 In fact, deep down I miss Iraq and the Iraqis that I was honored to know and to serve alongside and I still pray for them and for their future. Maybe someday I will get back. As I mentioned yesterday in my short article about my dad that I would watch the movie Field of Dreams. I did that last night. As always I found the message of the film compelling and relevant for me today. 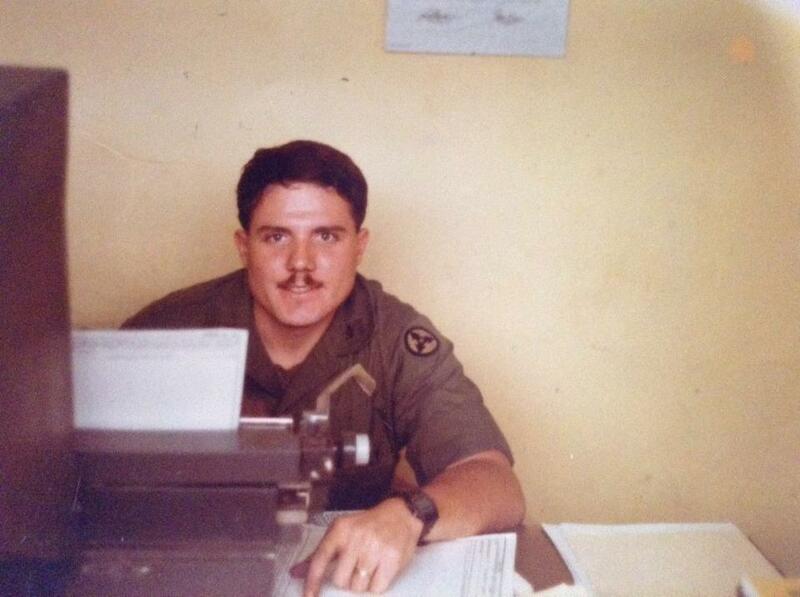 Thirty-four years ago today I was commissioned as a Second Lieutenant in the United States Army. In the decades since that time I have to say that I am the beneficiary of following dreams that have come true. 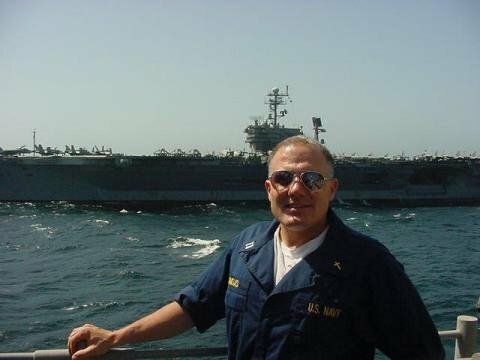 I always wanted to serve in the military no now after almost thirty-six years of service, including the time before I was commissioned I am still living my dream, and dreaming to live. When I was commissioned back during the Cold War I figured that I would do 20 years or possibly a few years more and retire as a Lieutenant Colonel, or maybe even a Colonel. Back then I even harbored thoughts of becoming a General. That didn’t happen and through a fairly unusual set of circumstances I ended up leaving the Army Reserve before being considered for promotion to Lieutenant Colonel, reducing in rank and entering the Navy in February 1999. I wanted t get back on active duty and my window had passed in the Army, if I remained there I would have remained a reservist, not that there is anything wrong with that but it wasn’t my dream. So now after a total of nearly 36 years in the military, and almost 18 1/2 in the Navy I still dream. Now my dreams don’t include promotion to Navy Captain or far less Admiral. My dreams are simple; living life, speaking truth, and not sacrificing my integrity just to try to get ahead in a system whose ideals are so much like mine but reality, at least in the Chaplain Corps falls far short of, so I have simply decided to follow my dreams which include teaching, writing, and maybe speaking out regarding causes that I think are important. Unlike Dr. Archibald “Moonlight” Graham in the film, I got to bat in my version of the major leagues and my military dreams did come true. I don’t need any more than that. There are men and women who would have loved to had my career in the military and as I celebrate the anniversary of being commissioned as a Second Lieutenant in the U.S. Army some 34 years ago and being a Commander in the U.S. navy today. The dreams I have now are different and I will like Ray Kinsella and Terrance Mann in the movie will listen to that mysterious voice and follow it, because to paraphrase Doc Graham, it would be a tragedy if I didn’t. 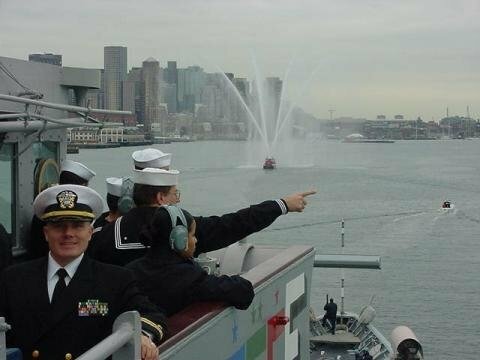 Yesterday I wrote about the Navy Birthday and I have been reflecting on life as so much of my life is connected to the Navy. 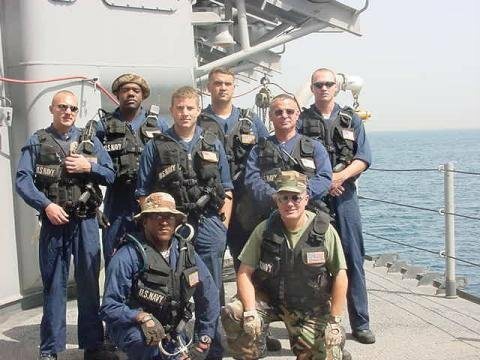 It’s funny, for all the difficulties that I have experienced in life, the difficult times and even coming back a changed man from war, I am a very fortunate man, for I have been able to pursue my entire adult life my childhood dream of serving in the military, but even more specifically serving in the Navy. I grew up in a Navy family, my brother and I were both born in Navy hospitals, and the first fourteen years of my life were spent following my dad around from duty station to duty station, up and down the West Coast and in the Philippines. I still recall the magical feeling of going to sea for the first time when I was about four years old on the USS John C. Breckenridge, a transport ship converted to carry military personnel and their families to and from the Far East. It was exhilarating and I never forgot it. As a kid I spent countless hours reading history and military history, but my favorite books were about all things navy. Biographies of the great naval leaders, not just Americans caused me to dream, as did books about naval battles, and the courage of the men who fought them. Then there were the books about ships, ship design and development that inspired me to build more models ships than I can count, and which cause me to still read up on the great ships of history, but also new developments in ship design and construction. 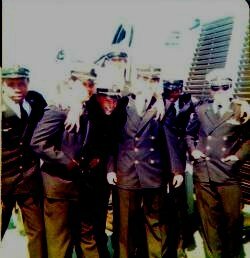 In high school I was in Navy Junior ROTC and was able to spend over 70 days at sea on six different ships, even sailing to Hawaii and back. I wanted to enlist but my parents suggested that I try college for a semester to see what I thought of it and it was a good thing that I did. 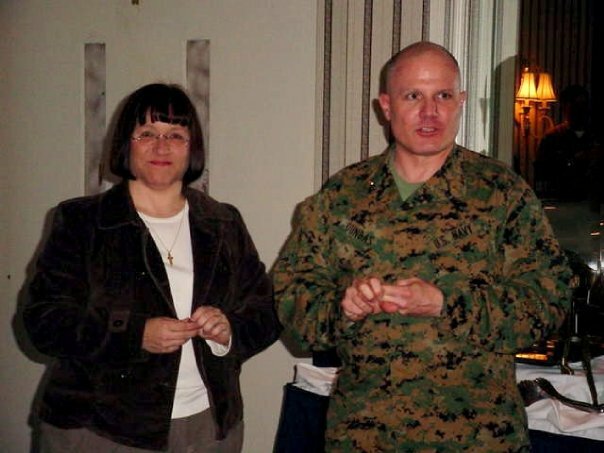 I went to college and I met Judy and toward the end of college ended up in the Army because I didn’t want to change my major in my senior year to enter Navy ROTC. Of course I need to mention that Judy said that she wouldn’t marry me if I joined the navy, but even in the Army my heart was all Navy. In fact when it was time for the Army-Navy Game I would wear by “Go Navy” button on the inside of my uniform shirt and flash it to get people going. After 17 ½ years in the Army I was serving as a Major in the Army Reserve and because of my rank was unable to go back on active duty, unless I was mobilized to serve in war. I wanted to go back on active duty, I was still under forty years old, and without consulting Judy, in retrospect I should have done that as she would have supported my decision, but I’m a guy, and sometimes not very smart or sensitive. Have a great day and never let your dreams die. I an out of the box thinker and when I am allowed to pursue my ideas I do my best. When I feel constrained or force myself to “stay between” the lines in order to fit in I get frustrated. When I was younger this lead to instances where I got in trouble for too aggressively pushing my ideas. However as I have matured I have become more patient. When my ideas are shunned or pushed aside I will stay within the lines of the system but work through back channels, finding people who will listen and hope that they will take up the ideas, even if I do not get credit. This is often frustrating in its own right but it allows me to continue to develop the ideas and to propagate them among people who will listen and possibly will in their own way help see those dreams to fruition. Many times I have been order to stand down and stay in my lane and been taken to task on more than one occasion for pushing too hard. This has actually happened a number of times in my military career dating back to my time as an Army Lieutenant serving in Germany, even to the point of having that noted as a point of criticism in an Officer Evaluation Report. So over the years I have learned that the direct approach to trying to propagate ideas that are considered out of the mainstream, or even dare I say radical when compared with conventional doctrines is not always the best case. The truth is that many people consider dreamers and outside the box thinkers to be arrogant and dangerous. It took me many years to discover this fact. Thus I have taken to being more patient and using indirect approaches to get ideas across. Part of this is in taking the time to get to know myself. Lao Tzu said “He who knows others is wise; he who knows himself is enlightened.” When I was younger I often acted on impulse thinking that my ideas needed to be implemented and fought for right then and there. Now I am willing to take more time, allow them to germinate and take form and if necessary allow other people to take credit as long as the ideas find a home. It also means listening to people from different disciplines or even cultures than our own, military from civilian, civilian from military, science from religion, religion from science and so on. It may be necessary to look to times than our own, delving into history to find answers to current challenges. Likewise it may prove wise to look to the dreamers who write science fiction for answers. It is important for the dreamers as well allow themselves and ideas to be questioned or challenged and to keep an open mind. Ideas developed in the vacuum of self seldom hold up over the course of time and stubbornness and intolerance of contradiction of one’s ideas and dreams come from a type of ego that is often as destructive to the self as it is to others. But like Lawrence said, the dreamers must be the ones who dream with their eyes open in order to make those dreams possible. However, the dreamers need to know that their ideas may not be welcome and that patience the use of the indirect approach and willingness to let others receive credit in order to see those dreams fulfilled is essential. Truth matters over individual success or recognition and in a sense it alone is eternal while our lives on this earth are fleeting. I’m really very tired today so another short post. I haven’t slept well in several weeks, part of this of course was the worry I had regarding my wife Judy and her cancer diagnosis, surgery and recovery. As she has gotten better I have been dealing with stuff from my own closet of anxieties. 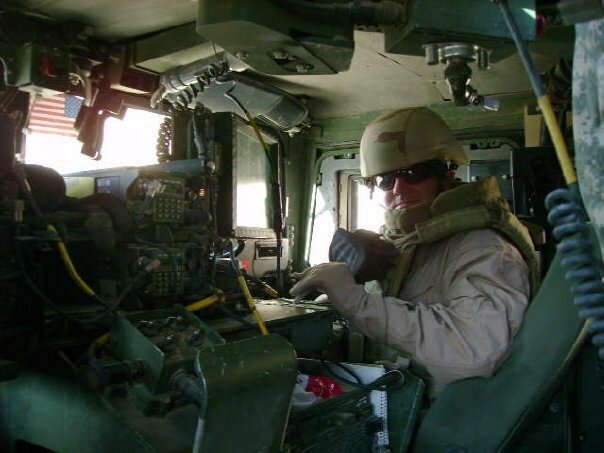 Those who have been reading my articles here know that I deal with PTSD, Traumatic Brain Injury and moral injury from my time in Iraq, and my return home. Last year I went through a very difficult time dealing with the military mental health system that I never want to repeat again. I hope I don’t have to, but I may. My therapist who I have had since last summer took a new job thousands of miles away and now I am going to have to find another therapist. I am hoping the man I see for my medication management can get me referred to someone good, because I do not want to be thrust back into the system and take the luck of the draw. That scares me to death, and since I found out my therapist was leaving and that I will not see her again I have been trying to keep my anxiety under control and not to panic. Awake I do pretty well with this, but when I try to sleep, all my Iraq stuff, plus all the very real and bad experiences that I had with the military mental health system last year flood my psyche. The night terrors are back, the terrible dreams and fears. It is not fun waking up in the middle of the night in a state of terror. Last year, after dealing with a number of providers and administrators I was nearly suicidal. It took the intervention of a former commanding officer who had been recently selected for promotion to Admiral in the Medical Corps to get me listened to and to get me the help that I sought. But I know that I am not alone, I will get the professional help that I still need and I do have some friends I can talk to about these issues. Likewise I know many combat who veterans deal with similar issues related to their service, as well what happened to them when they returned home from Iraq or Afghanistan. The return from war is often worse than actually being over there, few people really understand, unless they too have been there. That is true and I know to some people that may sound like I have given up, especially because it runs counter to the snake oil salesmen who write self-help books which promise to heal you in whatever number of steps or exercises; especially the ones written by preachers. But that is not the case, despite everything I still have a love of life and lust for learning. Except that now I just have moved to a new level of understanding concerning my own dark places, and that pain that manifests at night as I try to sleep. Since nothing will take it away I need to live with it and realize that it won’t always be the first thing that I think about when I wake up in the morning. That my friends is the essence of hope. Anyway, have a nice night. Last night was difficult, the nightmares and night terrors were quite terrifying. Thus I almost dread bedtime tonight. Since the summer my dreams and nightmares have become much more vivid and often so terrifying that I either wake up or am woken up by Judy when she sees me becoming too physically active in them. I have when up several times either screaming or hitting the floor when I fall out of bed trying to attack something in my dream which is threatening me or Judy, or when I am fleeing a threat, usually as I hit the floor or the bookcase that doubled as my nightstand. Judy has woken me up a number of times, once when it appeared that I was shooting at someone. It must be thrilling for her. Of course Minnie our youngest Papillon decided that hanging on to mommy during such times is a good idea, while my unflappable Molly, my Papillon-Dachshund mix who helped get me through many nights after coming home from Iraq now simply looks up and goes back to sleep. Evidently she is used to me now, it is good that someone in our little household is able to not be too bothered by nightmares. Last night I in a place where Judy and I had been trapped by enemy soldiers of some kind. I was unarmed and to allow Judy to escape up a hill I shut a gate to keep the enemy soldiers from pursuing us. As I struggled to lock the gate, I turned and saw that Judy had reached safety. I turned to join her but found that I could not get up the hill, I struggled and as I did the soldiers broke through the gate and began to shoot at me, I dove to avoid their bullets and was rudely awakened by my chin hitting the edge of the previously mentioned bookcase. I slammed into it hard, so hard that my teeth cut my upper lip, and that my chin and jaw were swollen and in pain. I got up, walked into our master bathroom where my mouth was full of blood and my chin already swollen from the impact. Because of the hour I did not want to have Judy take me to the emergency room so I rinsed out my mouth, packed it with tissue to soak up the blood and lay back down until my normal time to wake up. When boring came I got up, unpacked the very bloody tissue from my mouth and lips, showered and got ready for work. As I did so I noticed the damage to the bookcase, my jaw had shattered the pressed wood. I was shocked, evidently I have as hard of head as my dad accused me of as a child. I was surpassed, took a picture of he damage and went to work, where I reported what happened to my dean and went to our branch medical clinic. I spent most of the morning getting my head examined. Though I hurt from the neck up, and was in a lot of pain nothing was broken so the doctor sent me home. The doctor said that though nothing was broken that I would be in pain for some time, and I am. He compared the impact to being in an auto accident. My neck is sore, the chin, jaw and mouth sore and I do have a pretty good headache. When I see my new primary care doctor I will get scheduled for a sleep study. Judy mentioned something that I didn’t think about either last night when this happened or while I was at the doctor. The fact is that had I not crushed the bookcase with my jaw I could have suffered a very severe injury, perhaps even a fractured skull. I make no pretense of saying that I can understand or interpret them. Last night may have been triggered by the F-18s from the USS George H.W. Bush flying in to the Naval Air Station following their return from deployment not far from where I work during the day. The noise of their jet engines took me back to Iraq. 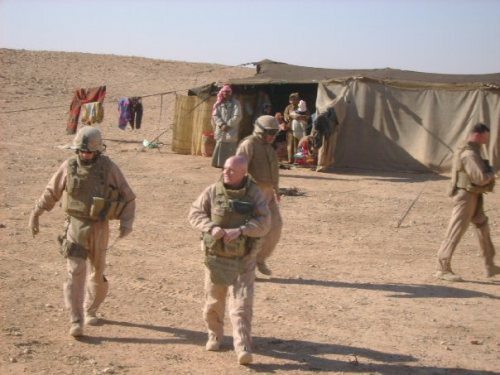 When I was in Iraq, any time that I was going west or east and waiting on flights at Al Asad Air Base in Al Anbar, the Marine and Navy F-18s based there would keep me up all hours of the day and night as I tried to sleep in the tents that transients like me stayed. Of course those tents were only a couple hundred yards from the flight line, so sleep was rare and the noise got into my head. I honestly do hope that my new therapist and medication manager can find the right combination of therapy and medications to manage this. It would be nice to be able to sleep without waking up in terror with dreams of war and of enemies, both real and imagined trying to kill me. I have posted the photo of the broken bookcase here just to give you an idea of how hard I hit it with my chin. It shocked the hell out of me when I saw it. 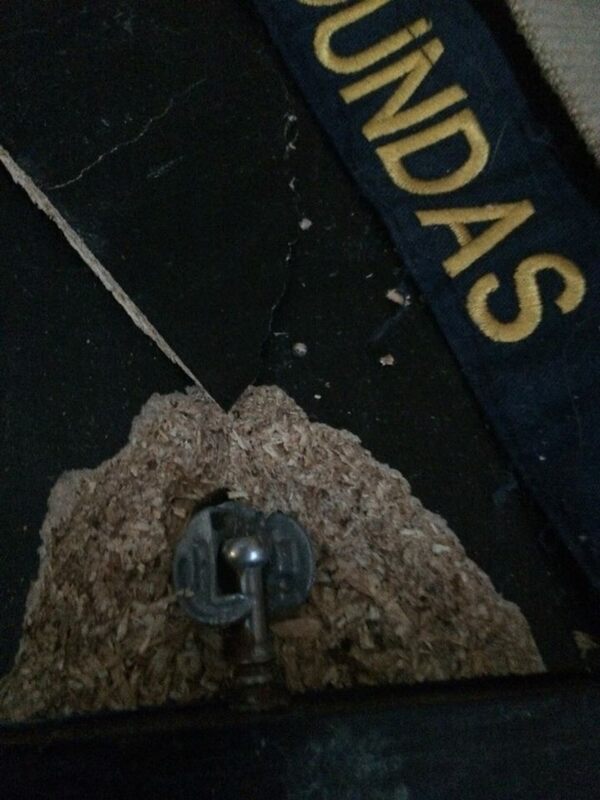 Yes that is the damaged that I caused, it is about three inches in size. So anyway, I am going to try to get some sleep. But as Guy Sajer, the author of the classic account of brutal combat wrote: “Only happy people have nightmares, from overeating. For those who live a nightmare reality, sleep is a black hole, lost in time, like death.” Since returning from Iraq, my nights have been nightmarish. I wish that I never had to sleep, for sleep is far worse than being awake, even awake in a combat zone. Like Gouverneur Warren, my dreams sometimes, in fact most of the time cause me to dread going to sleep. With that, I wish all of us peace and pleasant dreams, even in the midst of real life nightmares. I have had a pretty good couple of weeks with my trip to the Oktoberfest and this past week. Apart from being tired from the travel and trying to catch up and reset myself my sleep has been good, well until last night. It was surprising because I have been happy, good things are happening in my life and I found out that I am being inducted into my high school’s Hall of Fame laster in the month. 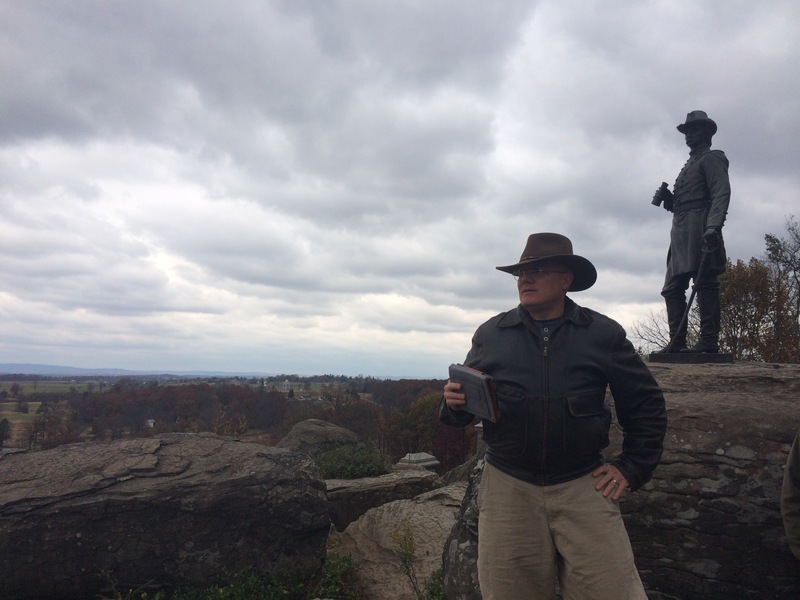 I have been catching up at work and preparing for the next iteration of the Gettysburg Staff Ride which I lead and I am working with a number of others on a new ethics class for our students. Likewise the baseball teams I want to win in the playoffs are winning, what could be wrong? That being said since coming home I have been following the events in Iraq and Syria. Of course I have been horrified, but not surprised in the least at the latest public execution of an innocent hostage by the Islamic State. 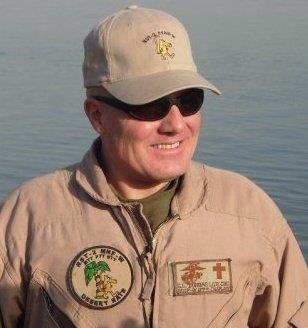 However, I have been watching the continued Islamic State advance in Al Anbar province where I served with out advisors and the Iraqi Army, Border and other security forces. Islamic State appears to be on the verge of capturing a number of important bases including Al Asad, and are advancing on Baghdad and may be in control of Abu Ghraib, nearly in artillery range of Baghdad International Airport. The fact that this is where I left so much of my heart and soul is particularly upsetting. As the situation grows more serious and U.S. and allied involvement grows deeper I have no doubt that eventually ground troops will be fighting the Islamic State, which is perhaps exactly what they want. Last night I was surprised as I had a nightmare which went on and on. My wife Judy woke me up at one point, I was awoken again when I kicked the bookcase that serves as my nightstand. The nightmare did involve Iraq, but this time it was not set in the past, but in the future and it was frightening in its vividness and reality involving me as well as a number of people that I know from the military and other agencies including the State Department involved in a humanitarian mission. As the politicians, pundits and preachers who lust after war and are seemingly eager to commit the sons and daughters of other people to a new ground war, without of course providing them the funding and equipment that will be needed because they would rather have tax cuts for the rich and corporations chum the waters; I am concerned. Sadly, we may have to commit ground forces, perhaps a sizable number to halt the advance of the Islamic State, and possibly even defeat them in Iraq. However, the Islamic State will not be stopped with military victories; they will regroup and morph into something else. I don’t think that the war we are in won’t end, at least in my lifetime. It will be like the Thirty Years War, but maybe longer. I would like to be wrong and I pray that I am, but the war keeps growing and nightmares keep coming. On Thursday I was sitting in the waiting room of the doctor who prescribes my psych meds I caught the first part of an interview by Fox News with former President Bush. When I heard the questions and his answers I was livid, because it was Bush and his chicken-hawk advisers who in their ill-conceived and criminal invasion of Iraq helped birth the Islamic State, and now they were claiming that they predicted this. If these people were held to the same standard that we held the major war criminals of the Nazi regime at Nuremberg, they would all gone to the gallows. These people and their propaganda machine at Fox News keep trying to blame everyone, especially President Obama for their criminal negligence. I pray for sleep tonight and I pray that I am wrong about this war, but I know that I am right.